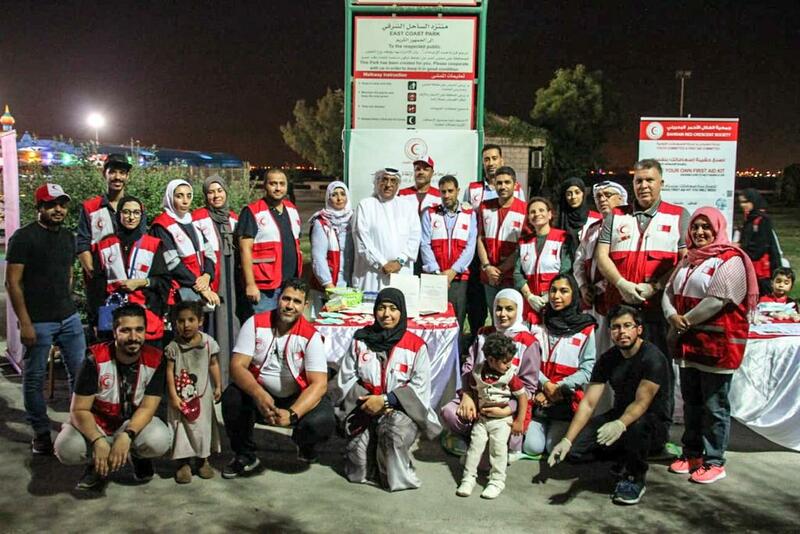 Bahrain Red Crescent Society organised an event at Al-Fatih corniche located in Manama, as a Health awareness event In order to spread health awareness among citizens and residents of the corniche, and to introduce them to the most important health practices such as healthy food and workouts. 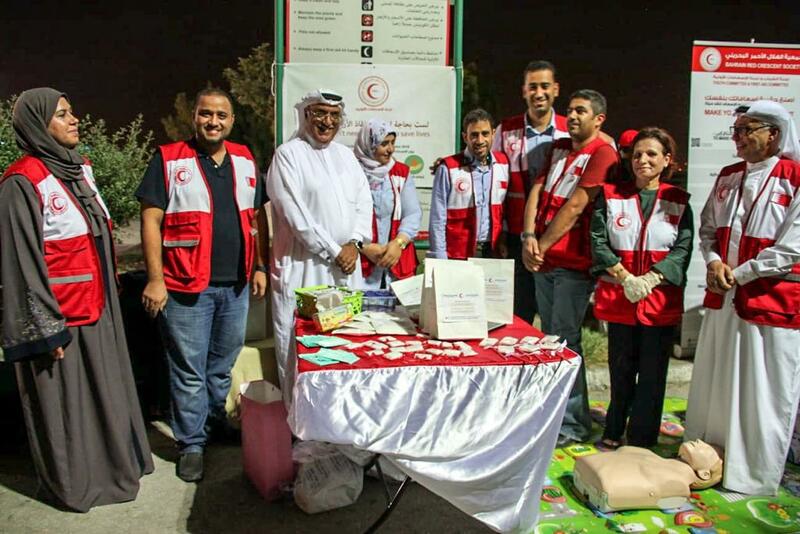 During this event, volunteers provided health tests services such as; pressure and sugar tests for both men and women. Moreover, BRCS volunteers organised a corner at the event to view first-aid principles, contents of emergency bags to guests as well as a children entertainment corner including games, gifts and face paintings. Presence at the event were BRCS General Secretary Dr. Fawzi Amin, members and volunteers of the society. 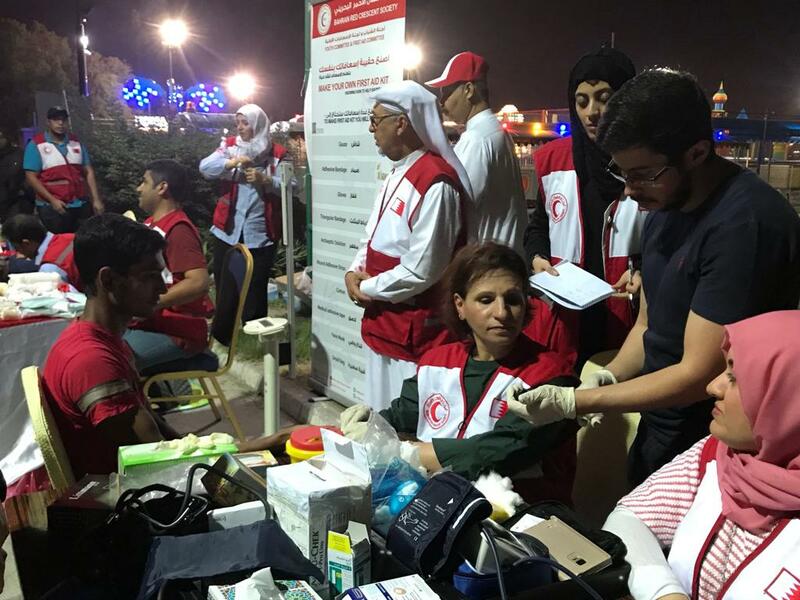 It was organised by Health Awareness Committee, with the cooperation of society’s committees, where Head of the Committee Miss Maysar Al Sabri stressed Society’s keenness to provide assistance to the Bahraini community, calling on all members of community to be a member at the BRCS and participate in their various health events and humanitarian activities.